The city is best known as one of Mexico's oldest and most well-known beach resorts, which came into prominence in the 1950s as a getaway for Hollywood stars and millionaires. 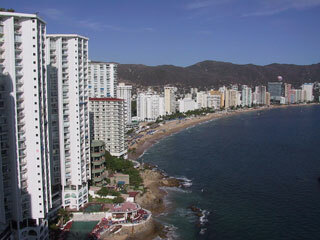 Acapulco is still famous and still attracts many tourists, although most are now from Mexico itself. This article uses material from the Wikipedia article "Acapulco", which is released under the Creative Commons Attribution-Share-Alike 3.0 License.